Comforts the skin after exercise. 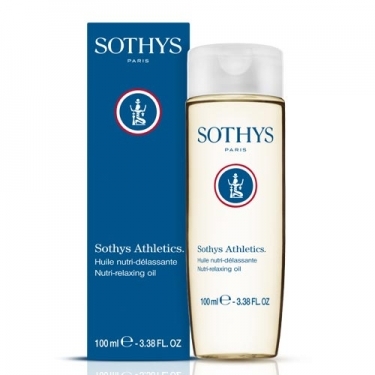 DESCRIPTION: Sothys Athletics Huile Nutri-Délassante from Sothys is an enveloping oil that is specially formulated for athletic activity with a triple purpose: toning, compensating, comforting. Use when not exercising: apply throughout the body and rub vigorously.